Make the most of your class time with colorful games that children can complete in centers or at their desks! It's easy to keep students on task with the fun, skill-building materials. This resource is comprised of 20 full-color games that can be assembled with ease; just glue the games onto file folders and cut apart the game cards. 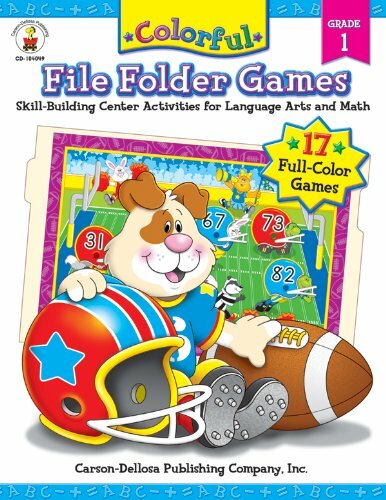 Colorful File Folder Games is the perfect tool for children who need a little extra help. Covering a variety of language arts and math skills, the games are idea for practicing phonemic awareness, letter-sound correspondence, alphabetization, counting, visual discrimination, money, telling time, place value, and pattern recognition. Children will enjoy playing these games over and over again! Would You Rather...? Terrifically Twisted: Over 300 Crazy Questions!